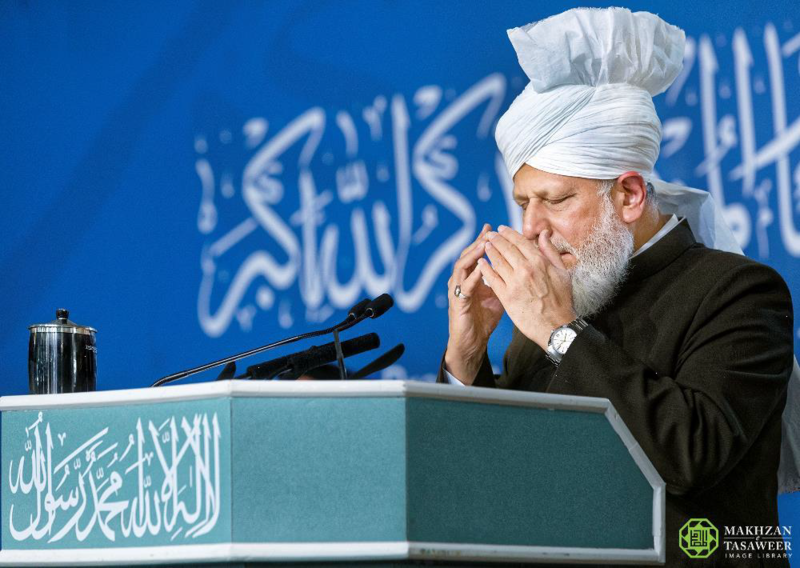 Hazrat Mirza Masroor Ahmad addresses over 5,600 Muslim youths from across the UK. 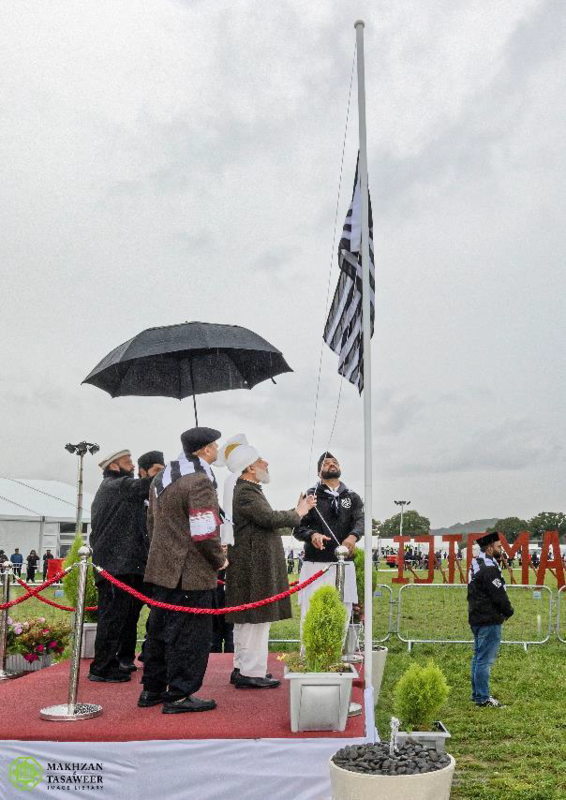 On 23 September 2018, the World Head of the Ahmadiyya Muslim Community, the Fifth Khalifa, His Holiness, Hazrat Mirza Masroor Ahmad delivered a faith-inspiring address to conclude the three-day National Ijtema (Annual Gathering) of the Ahmadiyya Muslim Youth Association in the UK (Majlis Khuddamul Ahmadiyya). The objectives of the Ijtema, held for the second time at Country Market, Kingsley, were to educate the Muslim youths of the true peaceful teachings of Islam and to inspire them towards serving both their faith and nation to the best of their abilities. The theme of this year’s Ijtema was ‘Salat’, the five daily prayers that are to be offered by every Muslim. During the concluding address, His Holiness spoke extensively about the importance of Salat, saying that the five daily prayers ought to remain the ‘constant companion’ of a true Muslim. His Holiness directed that having accepted the Founder of the Ahmadiyya Muslim Community as the Promised Messiah it was incumbent upon Ahmadi Muslims to act upon Islam’s true teachings. His Holiness explained that whilst the verse calls on Muslims to guard against inattention to the five daily prayers, it particularly reminds Muslims to watch over the ‘middle prayer’. Explaining the term ‘middle prayer’, His Holiness said that the ‘middle prayer’ is whichever prayer which is at risk of neglect due to material interests. His Holiness explained that in the modern era the early morning prayer Fajr often the ‘middle prayer’ for many people. His Holiness advised Ahmadi Muslim youths to go to bed early so that they could easily wake for the Fajr prayer. He said if that was not possible they must still go to bed with a firm intention and determination to wake up for the Fajr prayer. His Holiness also referred to a saying of the Holy Prophet Muhammad (peace and blessings be upon him) that the reward for the prayers offered in congregation is at least twenty-seven times greater compared to offering the prayer alone. Speaking of the theme of this year’s Ijtema being ‘Salat’, His Holiness cautioned that Salat must become an integral part of the life of every Ahmadi Muslim not just for this year, but for the entirety of the life of every Ahmadi Muslim. His Holiness commended those Ahmadi Muslim youths who had improved their standards of worship of Allah over the past year. He said they should continue to seek spiritual progress and development, whilst those who had not made any effort to raise their standards of worship should now seek to improve. His Holiness quoted a number of sayings of the Holy Prophet Muhammad (peace and blessings be upon him) about the importance of the five daily prayers. 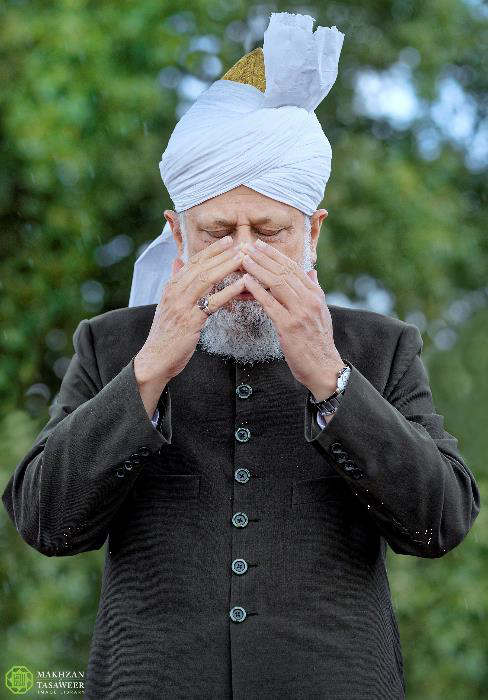 Hazrat Mirza Masroor Ahmad narrated that once a companion of the Holy Prophet Muhammad (peace and blessings be upon him) asked the Holy Prophet (peace and blessings be upon him) about how people can enter heaven. His Holiness also quoted a number of sayings of the Promised Messiah (peace be upon him) highlighting the importance of prayer, including an excerpt explaining the philosophy underpinning the different physical postures adopted during the five daily prayers. 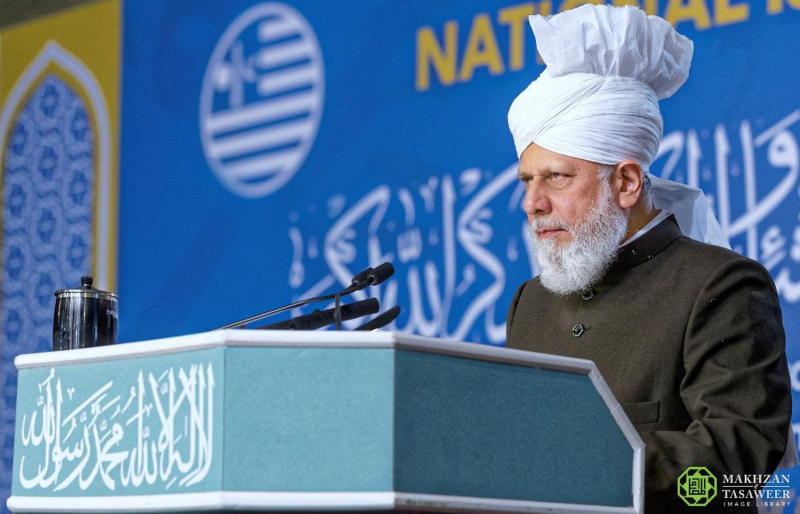 Hazrat Mirza Masroor Ahmad said that the Promised Messiah (peace be upon him) was sent by God Almighty to establish a bond between God and mankind and to urge human beings to fulfil the rights of one another by living together with a spirit of peace and tolerance. His Holiness said that spreading the true teachings of Islam was the great task which Ahmadi Muslim youths “should accept wholeheartedly”. The Muslim youths were also able to visit the ‘The Hub’ where they had the opportunity to ask questions in a confidential environment about religion or social issues.